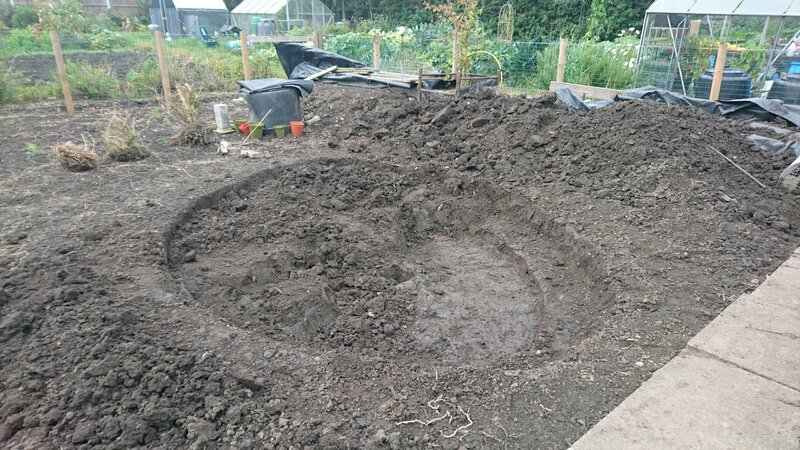 This week has been Geoff, Mick and a few of the usual crowd have been incredibly busy sorting out the new pond. 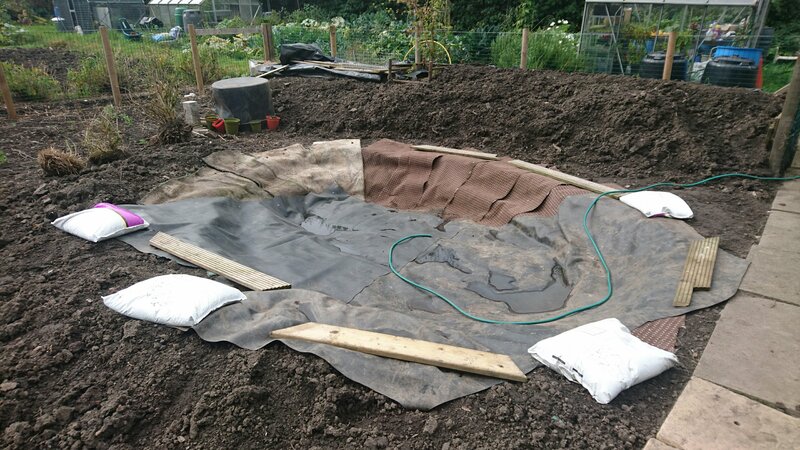 The pond liner is due to arrive on Monday and the guys plan to have it filled by the afternoon. It’s over 2ft deep to accommodate fish and there are careful plans for a beautiful waterfall inlet into the pond.